When I first started riding, I also devoured motorcycle magazines, which rapidly littered the house like November leaves on your lawn. Motorcycle magazine content is hit-or-miss, but I remember reading a Peter Egan Cycle World column in which he marveled at the mountains of motorcycle gear he’d accumulated over the years. Fast-forward 21 years and I realize he was telling the truth. 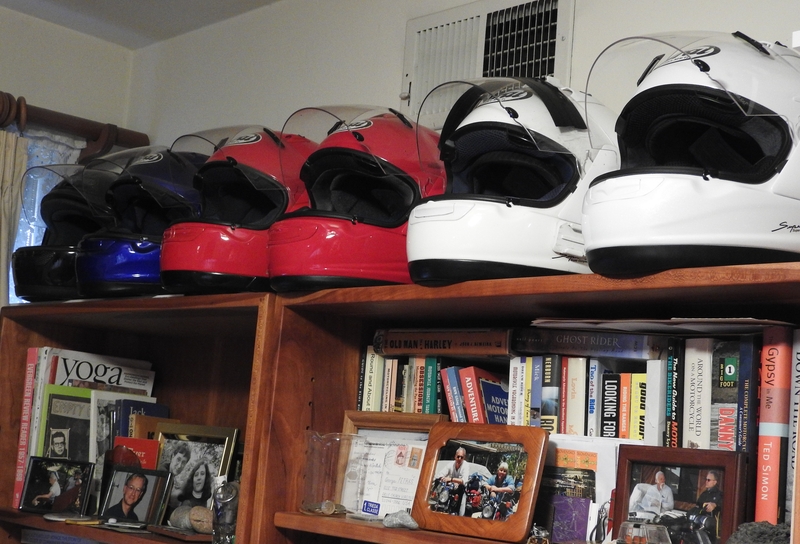 I realized it when I bought my fifth motorcycle helmet. The five-year replacement recommendation is based on a consensus by both helmet manufacturers and the Snell Foundation. Glues, resins and other materials used in helmet production can affect liner materials. Hair oils, body fluids and cosmetics, as well as normal “wear and tear” all contribute to helmet degradation. Petroleum based products present in cleaners, paints, fuels and other commonly encountered materials may also degrade materials used in many helmets possibly degrading performance. Additionally, experience indicates there will be a noticeable improvement in the protective characteristic of helmets over a five-year period due to advances in materials, designs, production methods and the standards. Thus, the recommendation for five-year helmet replacement is a judgment call stemming from a prudent safety philosophy. 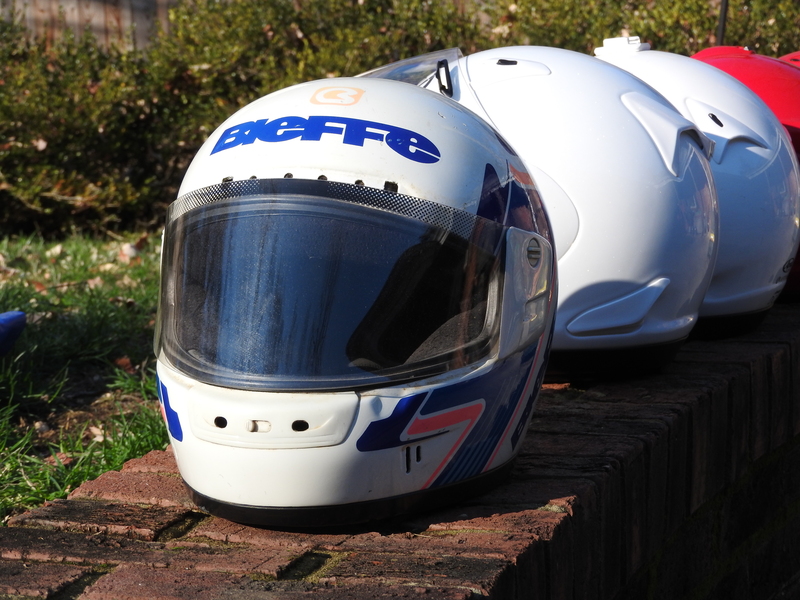 I buy full-face Arai helmets, which are admittedly expensive, but well-fitted. (We look for them on sale.) Comfort is important on long rides – you’ll be less fatigued after hours on the bike if your helmet sits right and shields you from wind and noise. I get Arais for Linda, too; she can choose the color and style. But she has to have a safe helmet. New riders quickly come to find how extremely personal helmets can be. You spend hours inside them, and the enclosure has to feel right. I’ve ended up eschewing graphics and colors and going with white helmets, which have better visibility to texting car drivers. Linda’s Arai matches the color of her Vespa scooter. But what do you do with old helmets? Some people donate them to fire departments, for practice in motorcycle-accident responses; others make lamps or planters out of them. In the space pod garage. 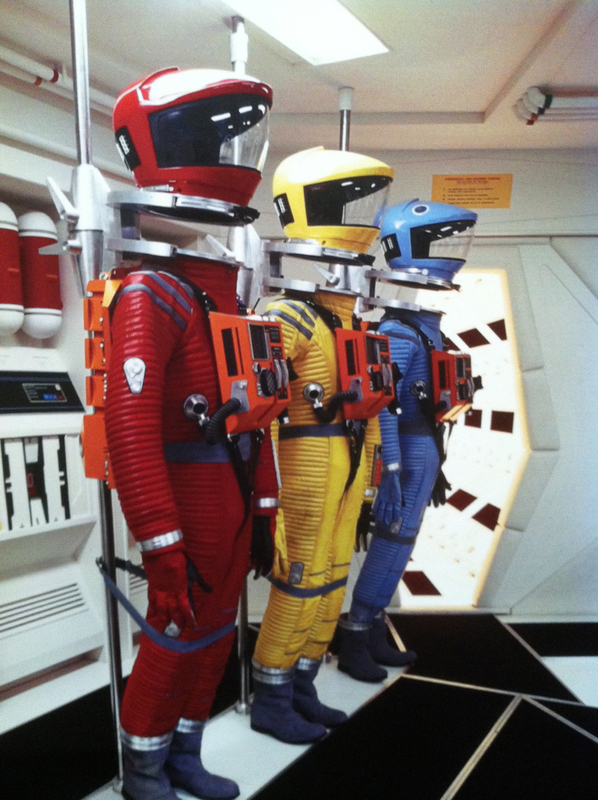 Ours are lined up along the top of a bookcase in the guest bedroom, faceshields open, reminding me of the row of waiting spacesuits in 2001: A Space Odyssey. I take down the older ones every now and again and dust them off. Sometimes I’ll use one to take a bike for a quick ride after a wash. But mostly they just sit there, self-contained with memories and stories of past rides. 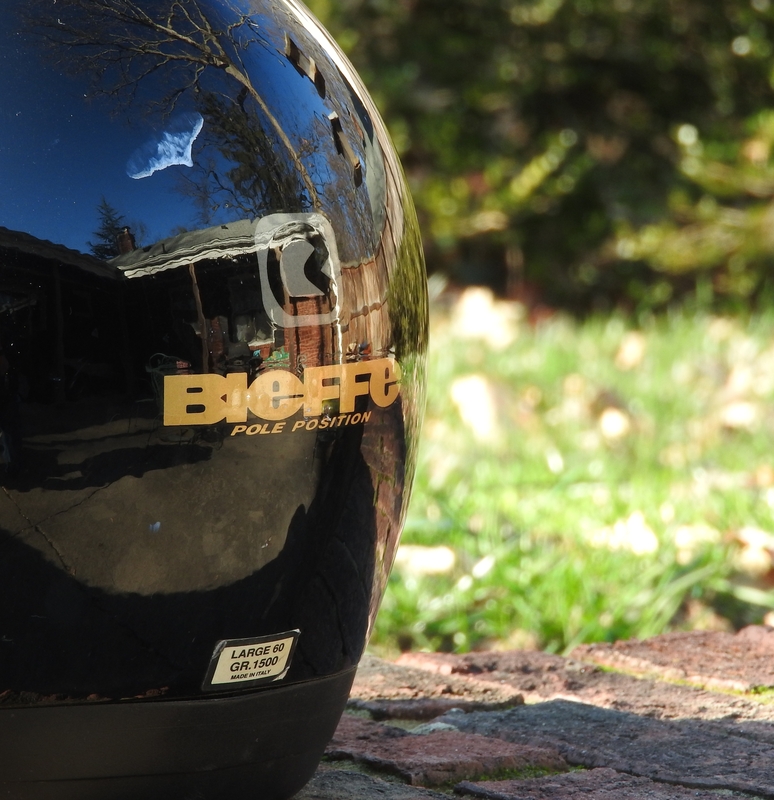 My father used my first Bieffe when I took him for a short ride aboard Discovery, my Yamaha Virago, many years ago; the black Bieffe has a white paint scar from hitting the side of a gas pump while fueling up with my Uncle Robert in California. I wore the red Arai for our motorcycle travels in Europe; the white Arai was the camera mount for my first GoPro video, through Glacier National Park in Montana. 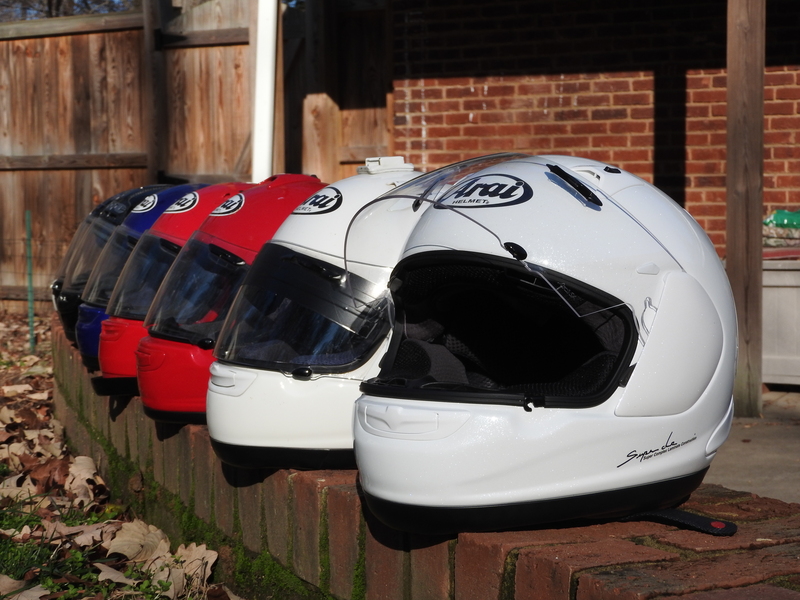 Motorcycle helmets. The memories they protect are the most precious of all. 1 — The foundation was created in 1957, the year after William “Pete” Snell, a popular sports car racer, died of head injuries in a crash. The helmet he was wearing failed to protect him.